Kleen TEX P OHTC is provided with 4 suction pipes on both sides of the machine consisting of an upper part with a flexible material and lower part with shock proof PVC. the position on outside of the blowing pipes allows a perfect floor cleaning in both the moving direction. 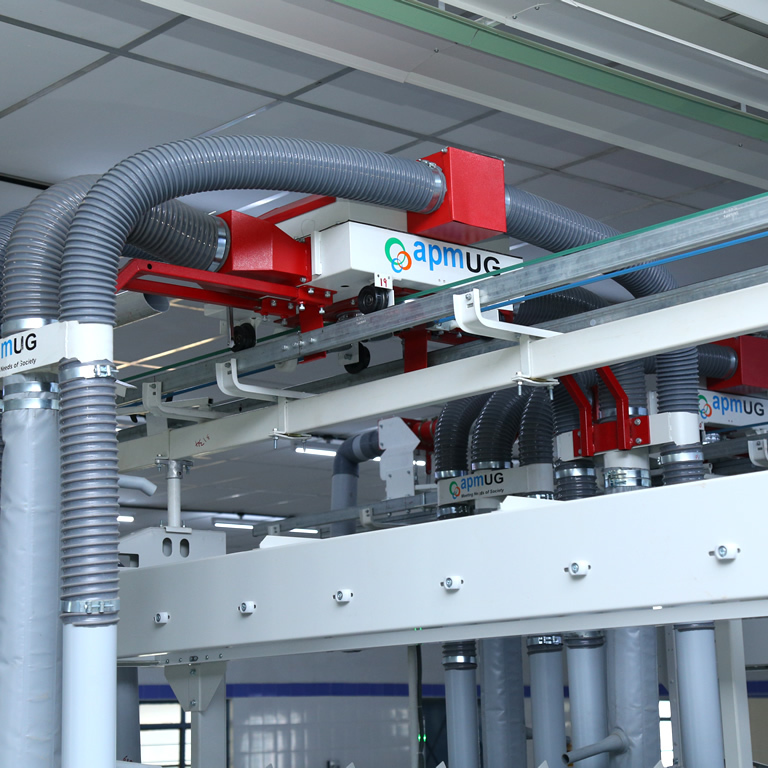 Blowing pipes equipped with nozzles of different section , length and inclination in order to blow on critical areas and various parts of the textile machine. Cleans the machine, the material and the environment. Solid design with the state of the Art technology. Powder coated steel sheet housing. Primary current supply through enclosed safety contact rail. Thermistor protected fan and drive motors.